My Copy: I received a copy of this novel from the publishers in exchange for an honest review. 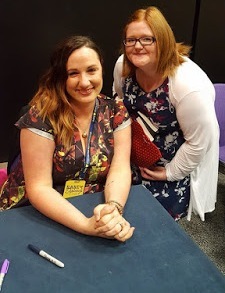 The thing I love most about the authors creations is she writes kick assing lead heroines! This may be "a dark and twisty re-telling of Sleeping Beauty" as the author describes it but hell has more chance of freezing over before Jana Oliver writes about the "princess" being saved by her "prince" then ride off together in the sunset after he fights a terrifying dragon and she prances about in a pretty dress... Uh huh! So not gonna happen! I love Briar, Joshua, Reena, Ruric, and even Pat, who proved people can change if given half a chance. It’s always fun to imagine that Holly wood will offer to make a movie of one of my books, and to dream up a cast of actors to take those roles. So with Briar Rose fresh off the presses, let’s see who I think would be great for those coveted roles. Just like Riley Blackthorne in my Demon Trappers Series, it is WAY hard for me to pick an actress for my lead gal. However, Ellen Page caught my attention as she has the wide-eyed innocence Briar possesses, at least at the beginning of the book. She is considerably older than Briar, but I suspect she could pull off the role. Nicole Beharie is my pick for the sassy Reena Hill. Her acting experience is impressive and she’s really pretty. Providing he can portray Pat’s arrogance and insecurity properly, I’m thinking Devon Gearhart would do just fine. He’s a local Atlanta lad and right about Pat’s age, so he gets extra props for that. Devon Bostick has the dreamy ‘Joshua look’ I was hoping for. He’s a talented young actor with a number of television shows and movies to his credit. Paul Butcher, who also has a number of TV shows and movies in his resume. Given the way this tyrant presents herself, you wouldn’t see the actress behind her mask for much of the movie. That requires incredible talent to pull off and I’m thinking Claudia Black has the range to handle the role if her work from Stargate and Farscape are any indication. And her rich, throaty voice would be ideal. What do you think of the review? Does it make you want to read the book? 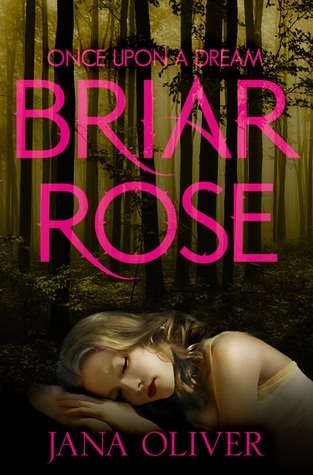 Have you read Briar Rose? Oh, thank you! It has been a big challenge to follow up on the Demon Trappers since so many folks were in love with Riley and Beck. My editor's suggestion to write a "dark and twisty" fairytale retelling was just perfect. I had the joy of writing something completely different. So glad you enjoyed it!